Please read carefully the following terms and conditions and any accompanying documentation before you use the BodyTalk tool and/or download related data (the "Tool"). By using and/or downloading the Tool, you acknowledge that you have read these terms and conditions, understand them, and agree to be bound by them. If you do not agree with these terms and conditions, you must not download and/or use the Tool. The Tool has been developed at the Max Planck Institute for Intelligent Systems (hereinafter "MPI") and is owned by and proprietary material of the Max-Planck-Gesellschaft zur Förderung der Wissenschaften e.V. (hereinafter "MPG"; MPI and MPG hereinafter collectively "Max-Planck"). To use the Tool for the sole purpose of performing non-commercial scientific research, non-commercial education, or non-commercial artistic projects. Any other use, in particular any use for commercial purposes, is prohibited. This includes, without limitation, incorporation in a commercial product, use in a commercial service, or production of other artefacts for commercial purposes including, for example, 3D models, movies, or video games. The Tool may not be reproduced, modified and/or made available in any form to any third party without Max-Planck‘s prior written permission. You expressly acknowledge and agree that the Tool results from basic research, is provided “AS IS”, may contain errors, and that any use of the Tool is at your sole risk. MAX-PLANCK MAKES NO REPRESENTATIONS OR WARRANTIES OF ANY KIND CONCERNING THE DATA, NEITHER EXPRESS NOR IMPLIED, AND THE ABSENCE OF ANY LEGAL OR ACTUAL DEFECTS, WHETHER DISCOVERABLE OR NOT. 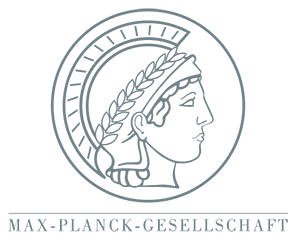 Specifically, and not to limit the foregoing, Max-Planck makes no representations or warranties (i) regarding the merchantability or fitness for a particular purpose of the Data, (ii) that the use of the Tool will not infringe any patents, copyrights or other intellectual property rights of a third party, and (iii) that the use of the Tool will not cause any damage of any kind to you or a third party. You understand and agree that Max-Planck is under no obligation to provide either maintenance services, update services, notices of latent defects, or corrections of defects with regard to the Tool. Max-Planck nevertheless reserves the right to update, modify, or discontinue the Tool at any time. You agree to cite the BodyTalk paper when reporting results with this dataset. This website lists the most up to date bibliographic information.